The Navy Chair 1006 is one of Emeco's classics. 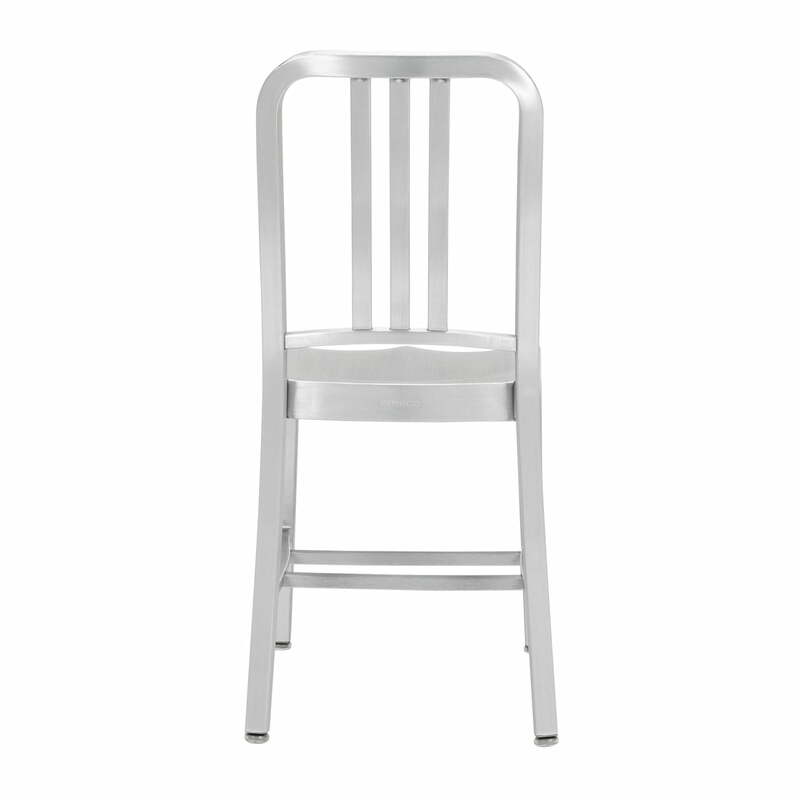 The timeless aluminum chair is handmade through a laborious process, which makes every piece unique. 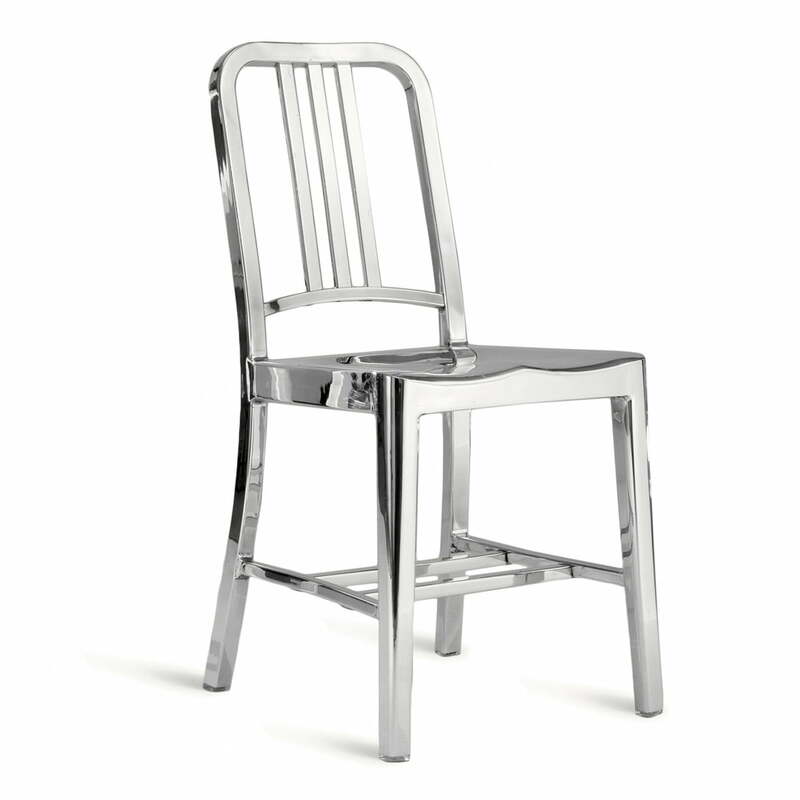 The chair was first produced in 1944 in collaboration with the aluminum manufacturer ALCOA for the American military. 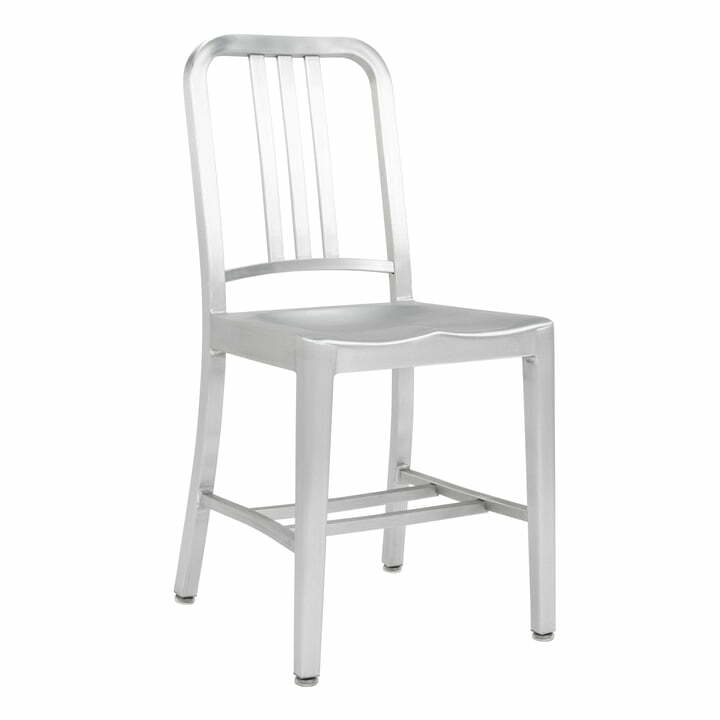 Emeco's Navy Chair was initially to be used in the Navy, hence its name ‘Navy Chair’. The result was a winner back then as well as today on account of its light weight, stability and durability. The production of the Navy chair is complicated: Several trained employees go through 77 stages of work and about 4 hours to produce just one Navy Chair. 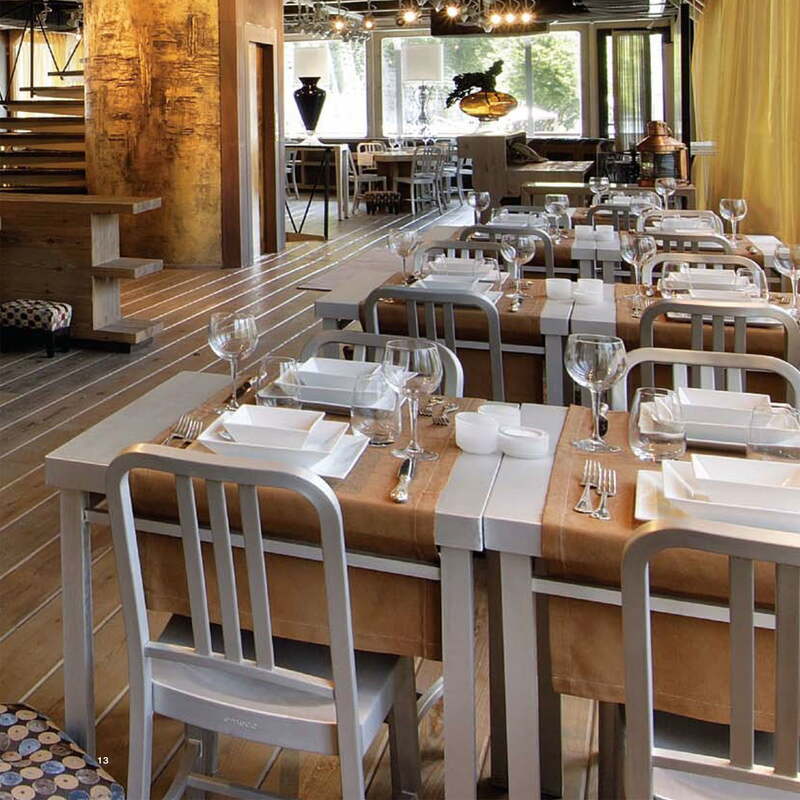 As a consequence the chair is not only durable, robust and of high quality, but every specimen is also a unique designer piece. 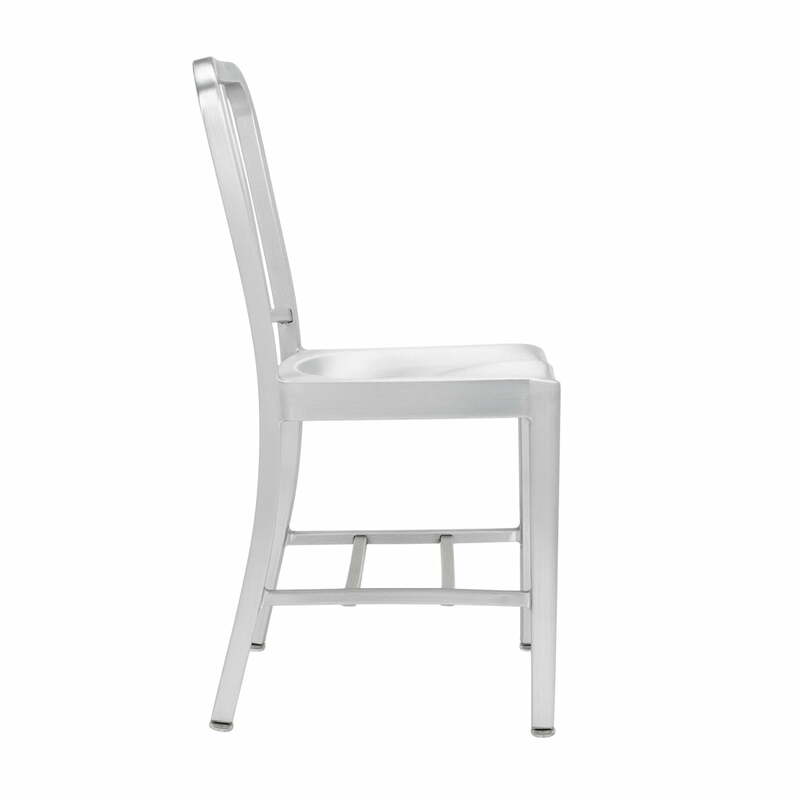 The Navy Chair 1006 by Emeco is also available in other colors or variants. 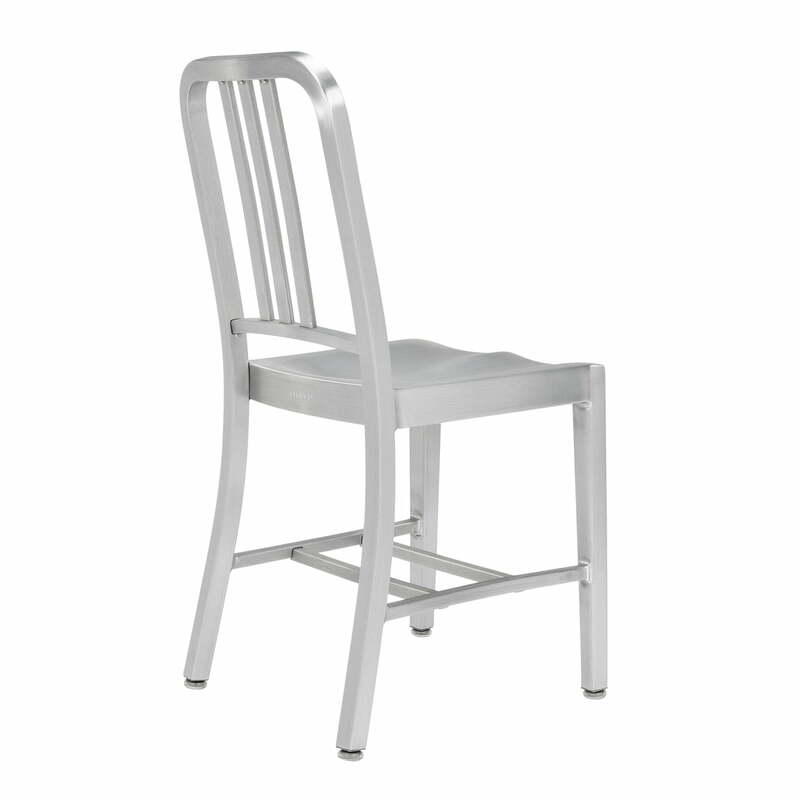 for example with armrests or as a children's chair or bar stool. 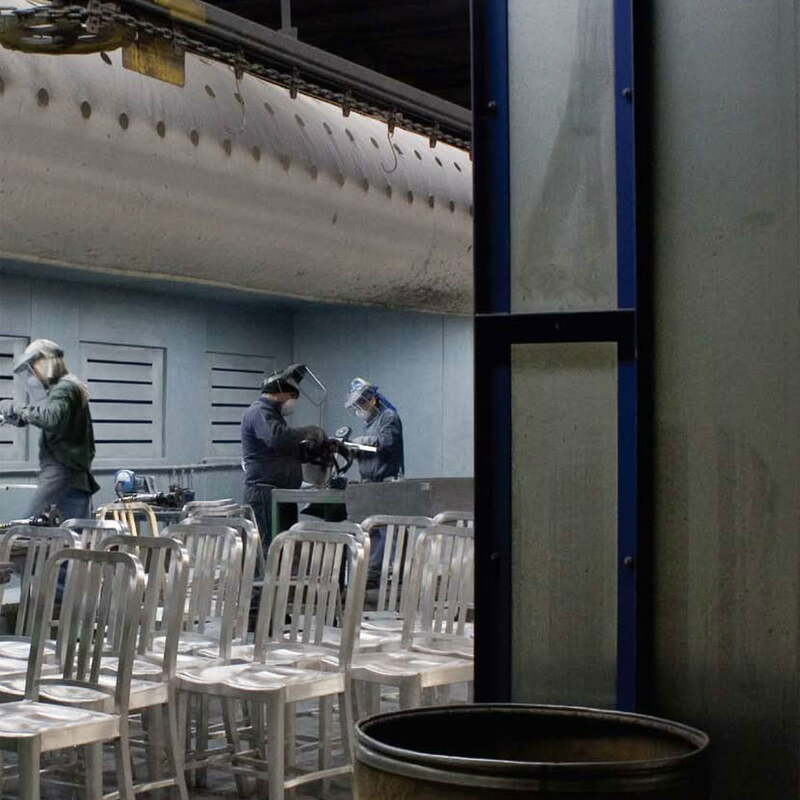 Watch the 77-step process in which an Emeco aluminium chair is made by hand. Every hand that touches a chair passes on decades of experience. A film by Eames Demetrios, grandson of the famous American industrial designer Charles Eames.